There are approximately 90 museums in Budapest, see the list below on the page. 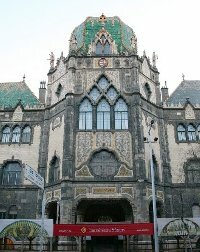 There is even a dedicated night called Night of Museums in Budapest in middle of June. This represents the incredibly rich historical and cultural values of the city. There is a museum of everything one is possible can speak of. Unfortunately many collections were destroyed during the last century. The usual entrance fee for Musem is usually 1-3000 HUF (3-9 EUR), please notice that most of the Museums are closed on Mondays. We can classify the museums by several characteristics: how big or small they are, how popular they are, where are they located, how interesting are to kids, what can be seen there, how expensive the visit, when are they opened, etc. Regarding fees and opening hours already had information lets answer the other characteritics. Bigger museums: Which are they? Typically the bigger ones located in the city center or close to other popular tourist targets such as Heroes square, Városliget (City park), and Deák square and inner city. These are the National Gallery, National Museum, Museum of Fine Arts, Hall of Art, House of Terror, Museum of Applied Arts, Museum of Hungarian history in Castle area, Museum of Ethnography, Hungarian Natural Science Museum. Most bigger museum has audio guide and is accessible with wheelchair as well. Not all museum are in the city center some of them are scattered even in the most distant points in the city, from North to South. I list the ones I think interesting. 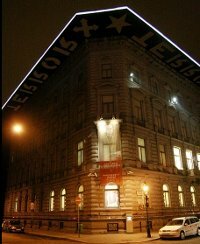 The House of Terror museum located in the Andrassy street in the inner city. The museum shows the different regimes and what they did in Hungary. This museum is a living history. Socking to see the faces of the executed people and their executors as well by name, date of birth. Many of them still alive. The building is located at a corner of the World Heritage Andrassy Avenue between Deak square and Heroes square in the City park. Formerly this building was used by the Political Police, there were prisons here as well. Formerly it was a residential building, and has other functions as well. On the groundfloor there are many papers can be seen, the documents about people. The cellars were used as a prison, they used the cellars of the neighboring houses as well. The museum has several levels. In the yard a tank can be seen in the background the photos of the many executed people. At the upper level there are videos about the different regimes, and there are old telephones as well, where possible to hear old recordings from different periods. There is a room which shows how a person worked for a Political Police, what kind of objects he had, how the room is looked. At the basement it is possible to see the cellars, the photos of the people who executed others, candles for those who were executed this very building. The Buda Castle is a must visit place in Budapest, and the National gallery is one of the most iconic building here. Here the paintings of the most famous Hungarian painters can be seen. The building is visible from many direction from below. This museum is also in the Castle district. In Hungarian (Sziklakorhaz). This special hospital can be found under the Buda Castle in 2300 m2 area. It was used during the World war and in 1956 revolution as well. It was a secret place, in 2008 was opened as a museum. During the World was 40 doctors worked here during the air raids, and 6-700 patients. The shape of the hospitals follows the cave system. Later it was constructed with separate electricity and water supply for nuclear attacks. Location: Budapest Castle, Lovas u 1012. Closed in 2015 due to reconstruction. A huge Museum district is constructed in the City park. This is a big museum at the left side of the Heroes square if we see from the Andrassy road direction. The huge multi-storey building has lots of paintings and sculptures. The National museum can be found in the Calvin square not far from the city center. This building is similar to the Museum of Fine Arts with 8 columns in the front. Apart from the Hungarian Crown the other Coronary jewels can be found here. Museums interesting for kids as well: I thought of Museum of Transport, Railway History Museum, Fire brigade museum. 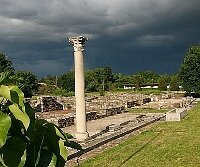 Other museums not in the city center: Aquincum museum, Memento Park, Spa museum,Nagytétény castle museum, Chocolate museum. Budapest is separated into 23 districts. The two inner number of the postal code shows the districts of the location. For example 1223 is in the 22nd district, 1015 is the first district. Here listed the websites and the locations as well. Location: Castle district, 1014 Budapest, Szent György tér 2. Location: 1065 Budapest, Nagymezo u 20. The eight level building was handed over in 1894 for the request of Mai Mano (1855-1917) photographer. After Sandor Rozsnyai composer bought the building from the son of Mai Mano and they built the three level Arizona cabaret in the empty yard. This functions up to 1944, when the owners was deported. After it was a school, and has several other functions. The gallery was opened in 1999. The house shows how photography worked in the 19th century in reality. This was a working place of Mai Mano and fortunately the building/atelier was well preserved. 1023 Budapest Mecset u 14. 1094 Budapest, Páva u 39. The Holocaust memorial center was opened in February 2015. The museum is about the Hungarian holocaust history and the arts connected to it. There is a database as well, and many books and other resources. There is a bookstore in the building and a cafe house as well. Budapest, Nagymező u 8.The Ernst museum shows contemporary art, founded by Lajos Ernst. 1037 Budapest Kiscelli u 108. 1124 Budapest, Stromfeld Aurél u 16. 1087 Budapest, Mosonyi u 7. Police History Museum was first opened in 1908, and was closed afterwards several times, and was opened lately in 1999. 1092 Budapest, Ráday u 28. The World of Bible museum, apart from the beautiful old Bibles, the museums shows the background of how the Bibles were created. The Museum shows the relationship between Bible and archeology, the text of the Bible, the Hungarian Bible, and the Translated Bibles. 1036 Budapest, Mókus u 20. 1095 Budapest, Soroksari u 24. The Museum was opened in 1975. The first underground in Continental Europe in Budapest was opened in 1896. Location: 1027 Budapest, Bem J u 20. The Foundry museum was opened in 1969. The foundry functioned here even in the sixties. This was a factory of Ganz Abraham, they produced train wheels here. Mechwart Andras also worked here. Location: 1014 Budapest, Uri u 49. 1162 Budapest, Bekecs u 22. Location: 1055 Budapest, Markó u 22. It is possible to see the objects of Ambulance and History as well. In the Ambulance Palace in the city center. The Museum was founded by Kresz Geza. Location: 1033 Budapest, Fő tér 1.